Want it by Wednesday 24th April? Order within 3 days, 20 hours, 38 minutes and choose Next Working Day - Kerbside Delivery (Order Must be Placed by 2pm) at checkout. 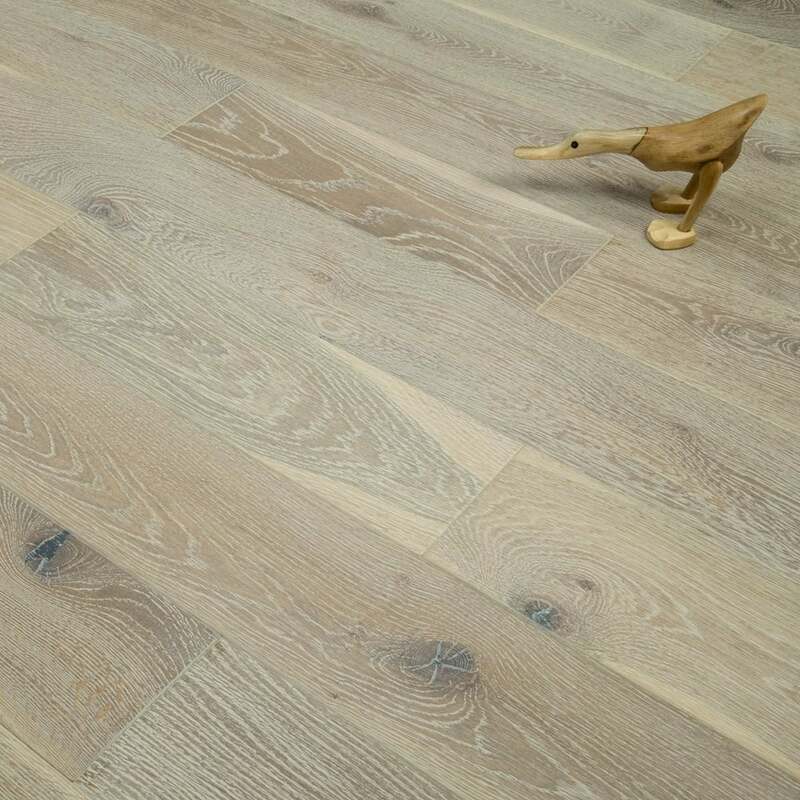 Timeless 18/5mm x 150mm Oak Smoked Brushed and White Oiled is 18mm thick with a 5mm solid oak top layer that may be sanded and resealed up to 3 times during the lifespan of the product. Although we could not get the product we originally ordered due to in the opinion of Discount Flooring they were able to offer us an acceptable alternative which was a superior product but still at the original price and the delivery was also exceptional.Full marks for product, Full marks for customer service.